This is Usher’s flagship. Each speaker comprises of two diamond tweeters, one 4″ quality high compression maple driver horn and two 15″ woofers. The sound from this loudspeaker system is akin to a live performance with no compression which is normally associated with most loudspeakers. It is suitable to medium to large rooms and one can literally transform one’s listening room to a concert hall. Sound quality wise it’s presentation is similar to a live performance. As it has two diamond tweeters, it is not rolled off like other electrostatic/horn speakers and it’s top end frequency extends to 40 khz. The bass section extends to 22 hz thanks to it’s twin 15″ bass drivers. The midrange magic and immediacy is produced by it’s compression horn. It is very efficient and is easily driver by moderate amplification. 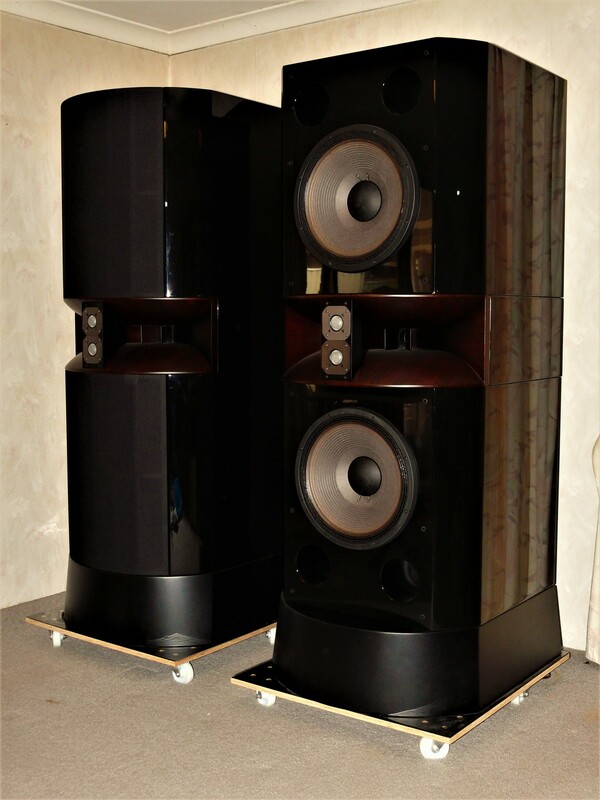 Each speaker weighs 236 kgs. 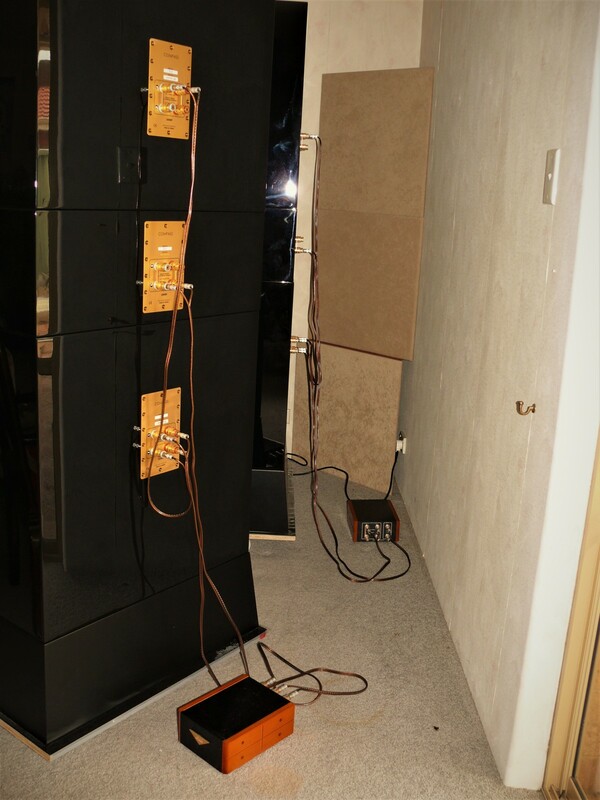 However each speaker is broken down into four modules for easy transportation. If you have the space and wish to be treated to a concert hall experience every night, this is your opportunity to purchase a very rare masterpiece at a fraction of it’s original price. 71 cm wide x 78 cm depth x 178.5 cm high.